SANTA CLARA, Calif. (KGO) -- Copa America continues in the South Bay this weekend. Saturday's soccer match between Mexico and Chile at Levi's Stadium is sold out, but some are worried about whether it'll be an appropriate venue for families following concerns over slurs used by the Mexican team fans. "There are people out there telling them, you know, like that word is never okay to say," said Diego Gonzalez of San Jose. He is referring to a four-letter word in the Spanish language that roughly translates to "male prostitute." It's a slur that is often directed at gay men in Mexico. Most recently, it's been yelled by Mexican fans during the Copa America tournament, who are trying to distract the opposing goalie. "It's a feminizing, vilifying, and also an ostracizing term," explained San Jose State Professor Julia Curry Rodriguez. She says more needs to be done to stop people from using it. "We have to be able to, I think, engage in meaningful challenges, not just dialogue, but meaningful challenges to, how do we engage in the public sphere?" 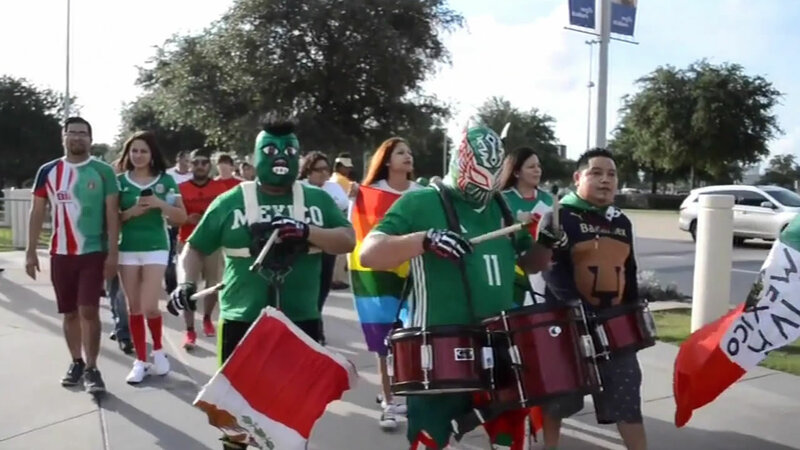 FIFA has fined Mexico thousands of dollars in the past year, due to the actions of its fans. In fact, the team even released a video urging fans to stop using derogatory language, especially at matches. But so far, it hasn't worked. Bonnie Sugiyama serves as Director of the SJSU Pride Center. She says, "I understand, you know, wanting to see your team and cheer on your team, but I think they should try to be targeting the groups of people that are actually doing this." Gonzales, who is gay and Hispanic, says it's important to educate others. "Keeping the conversation open, and bringing it up, and never staying quiet about it, and always confronting people, and telling people that's not okay," said Gonzalez.